Building muscle is complicated, right? You have to nail the right pre-workout, be sure to carb cycle and get your macros right. If you're not intermittent fasting, what are you even doing, bro? Yeah, building muscle gets pretty complex once you get to a high level. But if you're just starting out, want to improve your physique and don't know where to begin, it's actually pretty simple. Lift heavy weights often enough to give your body adequate stress, give yourself enough recovery time that you don't injure yourself, take in a few more calories than you would otherwise, and focus on compound movements. "Compound movements" are exercises that move multiple joints in your body. For example, a bicep curl only articulates one joint, your elbow. This is called an "isolation movement." A bench press, however, articulates your elbows and your shoulders. This is a compound movement. Compound movements have been consistently shown to build more muscle and strength more quickly than isolation movements. If you're looking for a bare-bones plan on exercises to start with, focus on these four. You will be well on your way to seeing a difference in the mirror. Note - if you're a total newbie to lifting, you may want to consider hiring a trainer to give you IRL pointers on form. Proper form is extremely important and you should become a student of it. Your health and safety may depend upon it. YouTube is a great resource if you're unfamiliar with any of these lifts. Deadlifts are one of the hardest movements to learn to do correctly, and also one of the most physically punishing. Many serious bodybuilders and power lifters consider the deadlift the number one most important movement you can do in the gym. This is because it taps the majority of your body's muscles. It works your legs, your back, your shoulders, your chest, your abs and all the small, stabilizing muscles you wouldn't recognize by name. Start extremely conservatively. Focus on form and lift just the bar until you get the form down perfect. Then, slowly add weight. Don't get greedy - only go up in five, maybe ten pound increments. The barbell squat can also be complicated to learn, but once you have it, it's like riding a bike. 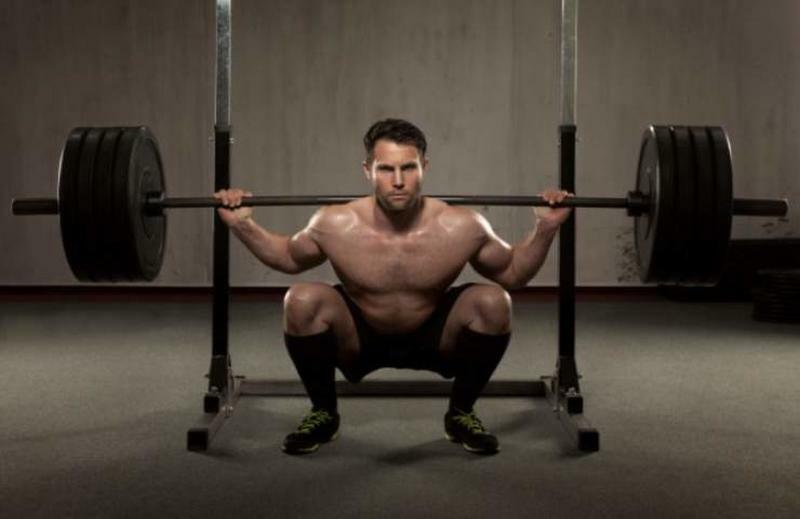 The squat is one of the most powerful exercises ever invented. It's been around forever and is a staple of any serious weight lifter's repertoire. There is no better exercise for strengthening your legs and building muscle. The squat has produced legions of squat fanatics who insist that you even have to do a full set of squats three times a week. There are two major derivations of the squat - high bar and low bar. Toy around with both to find which one is more comfortable for you. Also called the "military press," the overhead barbell press is a phenomenal exercise for building upper body strength. Especially shoulder strength. It builds muscle across your entire upper body and directly translates into "functional strength," meaning it makes lifting things easier in real life, in a way that the bench press really doesn't. Again, form is everything. Start with a bare bar and work up to heavier weights. Don't overdo it, you don't need to have a ton of plates on the bar to make this lift work for you. 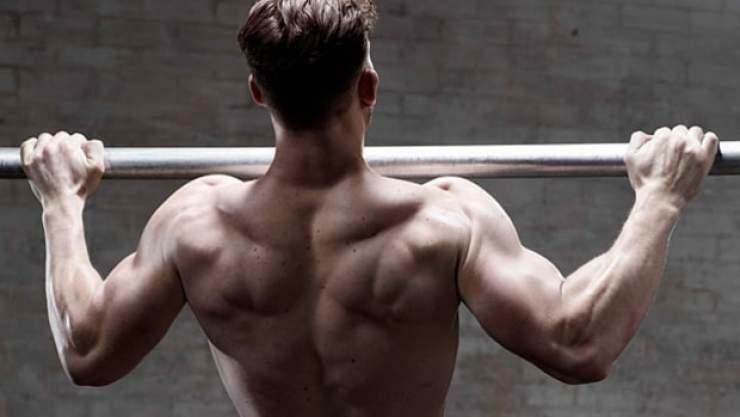 Yep, the standard old pull-up you learned in gym class is one of the world's most effective movements for building strength. It is considered by many to be the single best back exercise. It also works the rear of the shoulder and the biceps. If you can't achieve a bodyweight pullup, you can start slow by doing inverted rows on a TRX or a smith machine with the bar set low enough to extend your legs all the way out in front of you on the ground. That's it. Bodybuilding can be this simple. Add in a couple exercises you're curious about, hit the gym a few times a week, and you'll be on your way.